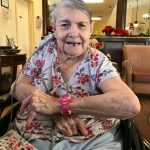 Ruby Jean Davis passed away Friday, February 8, 2019. Ruby was born October 13, 1926 in Hunt County to the late Guthrie and Mattie Pearce Spoonemore. She was preceded in death by her husband, Roy S. Davis; daughter, Ruby Kaye Davis; five sisters, Ruth Curtis, Lola Bruce, Billie Davis, Helen McCain, and Hazel Jackson; and one brother, Omar Spoonemore. Survivors: Daughter, Sue Jones and husband, Robert; son, Roy Davis and wife, Linda; grandchildren, Sherri Walsh and husband, Barry, Allen Davis and wife, Rebecca, Carrie Ellis, and Andrea Padgett and husband, Craig; great grandchildren, Sarah Woolf, Reese Davis, Riley Davis, Raegan Davis, Keenan Crutchfield, Kailea Crutchfield, Maggie Ellis, and Hayden Ellis. I want to give my deepest condolences for your loss. Losing a loved one is the hardest situation anyone can face, but the bible gives us hope for those we lose in death. Acts 24:15, those who have died can be resurrected to live again. My favorite scripture is Revelation 21:4, mentions that soon God will do away with death, and it will be no more. I hope that you take comfort in these scriptures, and turn to Jehovah God for comfort during this difficult time. Aunt Jean was a treasure. Love to all the family.. Dexter Davis family Dee and Lee Ann. The Divine presence who blesses us with life and laughter, joy and hope, tears of sadness, and songs of peace, we give thanks for the gift of Aunt Jean. Thoughts of the sisters together again brings a sweet smile. Jean was Super sweet lady with a heart of Gold. She loved the Lord and her family. I have many precious memories of her sweet spirit. Great friend and a wonderful Legacy she’s leaving for her family. I’ll miss your little Giggling laugh. Aunt Jean will be missed by all of us. I am glad to have called her my Aunt Jean. Although I will miss her I know mom and her are watching over us.